A 12-inch MacBook need to be repaired, the fault described is that the MacBook screen can display properly after booting, however, after using it for a while, the MacBook stop running and the screen is blurred. The model of this MacBook is A1532, it was released in 2016, the motherboard model is 820-00244-A. This MacBook was checked by Apple Care, the result is that it's the problem of the MacBook display IC, it needs to replace the MacBook motherboard. Because this MacBook is out of warranty, it's too expensive for replacing the motherboard. Now, we're going to fix it. Connect 12-inch MacBook to the power supply via Apple lightning cable, press the MacBook power button, the screen displays properly and then enter the system. After using it for a while, the MacBook suddenly stop running, and then the MacBook screen blurs. According to our experience, this problem usually is cause by SSD IC or CPU. Because this is the MacBook display IC problem, and the display of the motherboard all are connected to the CPU, so we can confirmed that it's the CPU problem and cause MacBook stop running and blurry screen problems. Use screwdriver to remove the screws fixed the rear case, disconnect the MacBook battery, and then remove the MacBook motherboard. Put the MacBook motherboard on the WL Aluminum Alloy Pad, apply some high temperature tape to the chips next to the CPU to protect it. Fixing the motherboard on the BGA welding station, we usually need to set a reasonable temperature for the BGA welding station to dry the motherboard and dry the water on the internal motherboard. 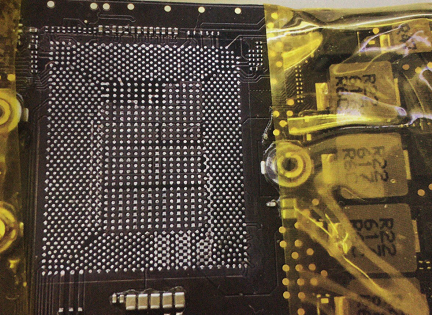 The main purpose is to prevent the motherboard from deforming, or the chip is damaged by high temperature. 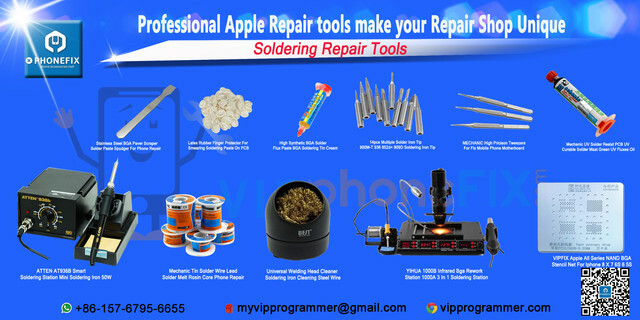 Apply some solder paste on the CPU solder pad, and then use QUICK 861DW hot air station to solder the low temperature tin wire to the solder pad, and then use BGA desoldering wire to clean the solder pad. Next directly replace the old CPU with the new CPU, and then install the MacBook. Finally, press the power button on MacBook, the MacBook is turning on smoothly. After using it for several, the MacBook is working properly, the problem has been fixed.